Sitting in the beautiful rolling farmland of the Till Valley on the edge of the Northumberland National Park, No. 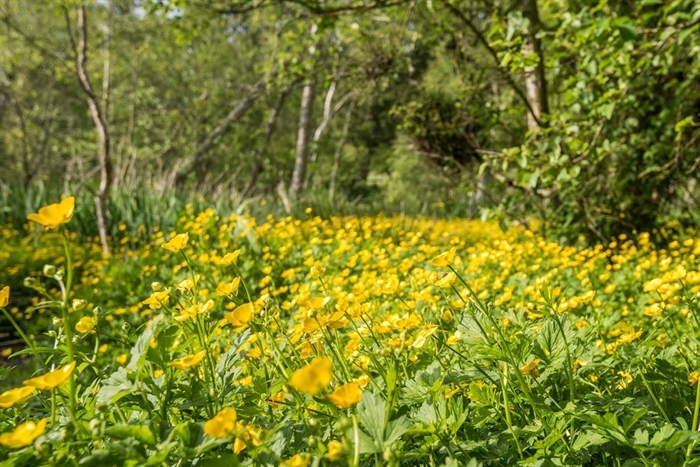 9 is an ideal place to escape busy schedules and enjoy a tranquil break in a glorious setting. 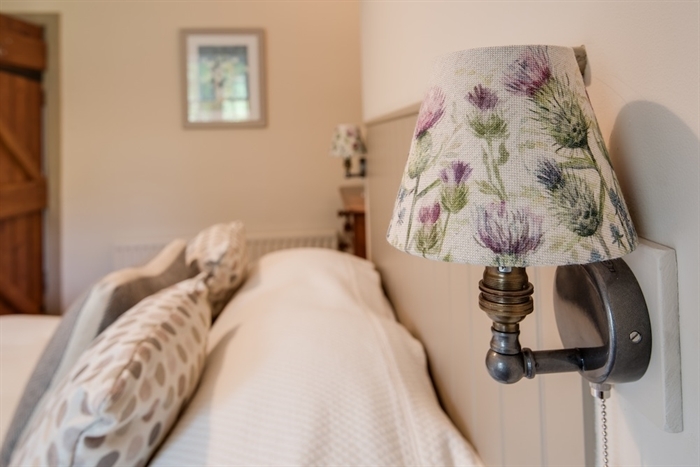 Light, bright and perfectly positioned, the cottage has been immaculately renovated throughout and is an idyllic spot for families or friends to rest, relax or take a leisurely break walking, cycling or exploring the great outdoors. 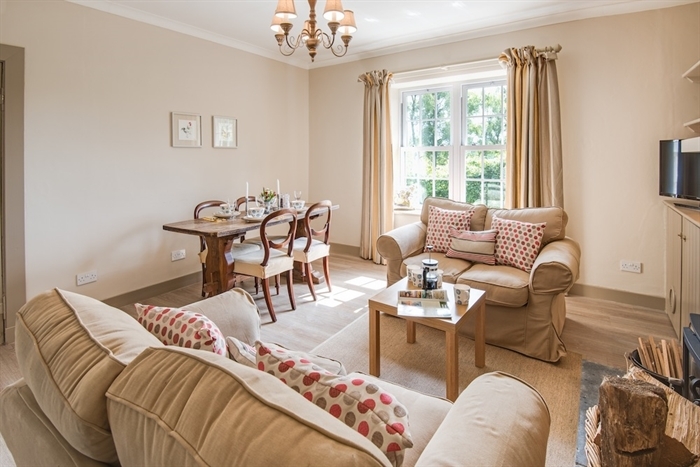 The pretty interior is tastefully presented using a restful mix of heritage colours and neutral furnishings in a contemporary cottage style. 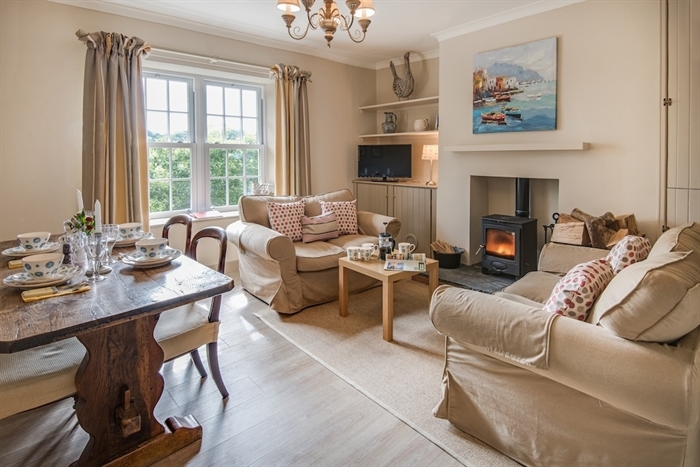 The charming sitting room enjoys lots of natural light and features a toasty log burner for evenings in or chilly days, while two double sofas provide a snug area to unwind with a good book. 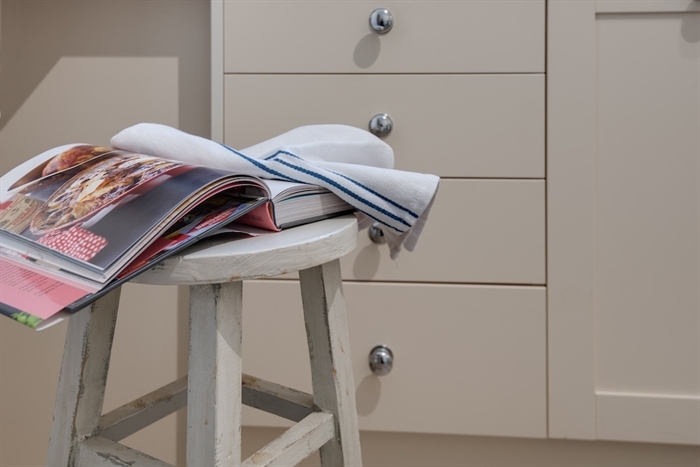 There is a dining area for four guests and the kitchen comes well-equipped for holiday living. 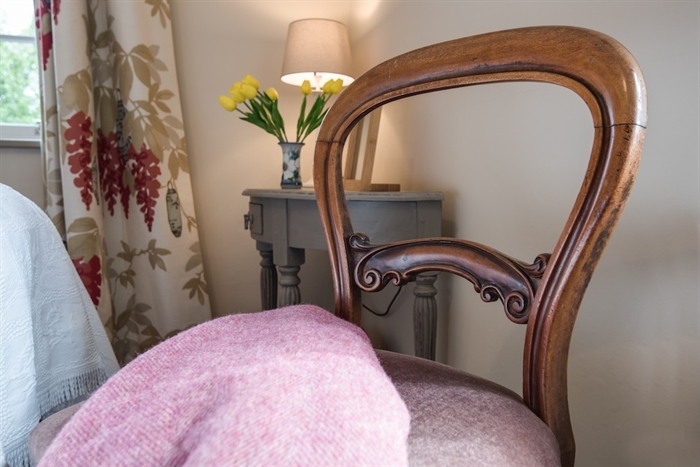 The cottage has two comfortable double bedrooms accented by pretty cushions and throws - one with zip and link beds which can be configured as a superking or twin as desired. 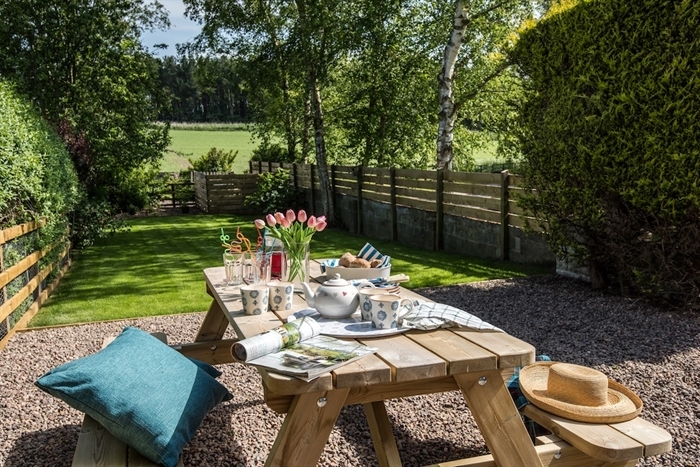 The cottage sits at the end of a row of fine sandstone cottages tucked away on the peaceful surroundings of Crookham Eastfield Farm, with a pretty lawned garden to the front of the property which is ideal for sunny al-fresco dining in the warmer months. 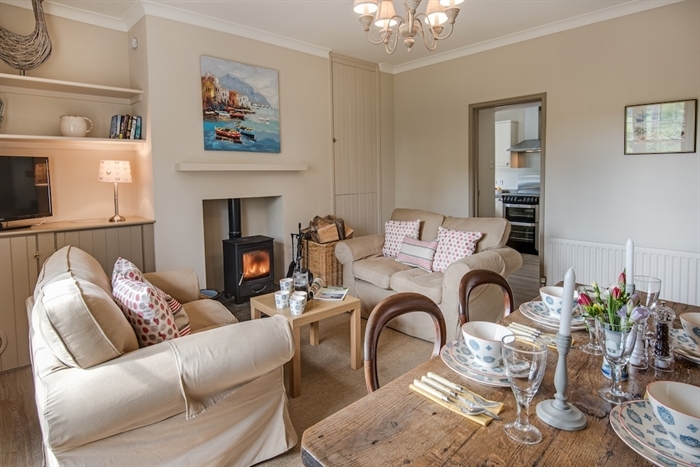 Inner hall leading to a cosy sitting room with two sofas set around a wood burning stove with logs supplied. Flat screen TV with integrated DVD player and a small selection of DVDs and games. 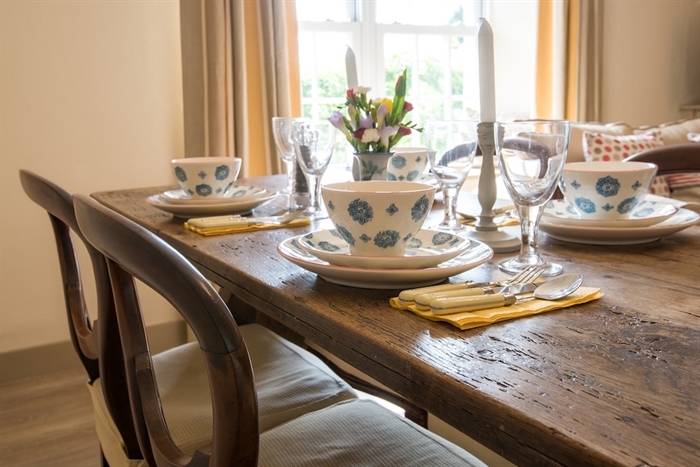 There is a dining area with table and chairs for six guests. 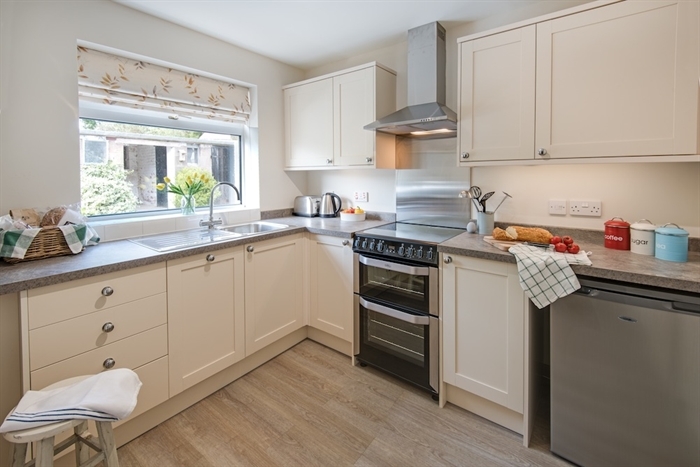 The kitchen is well equipped with an electric cooker and hob, fridge, small dishwasher and microwave. There is a washing machine in a separate utility room along with an iron and ironing board. 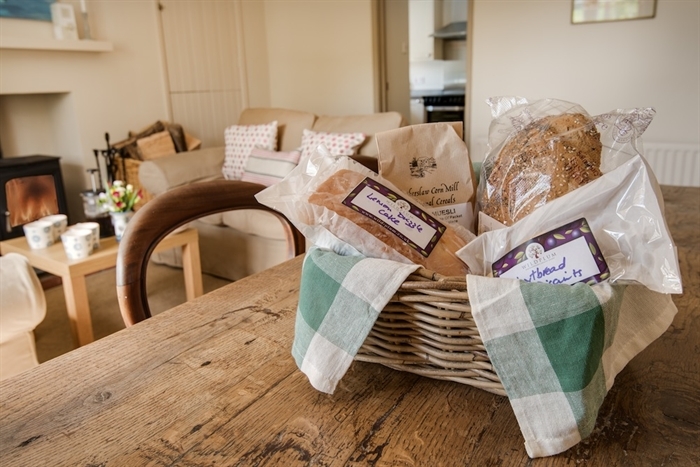 A freezer for guests’ use is located in the outbuilding directly opposite the property. 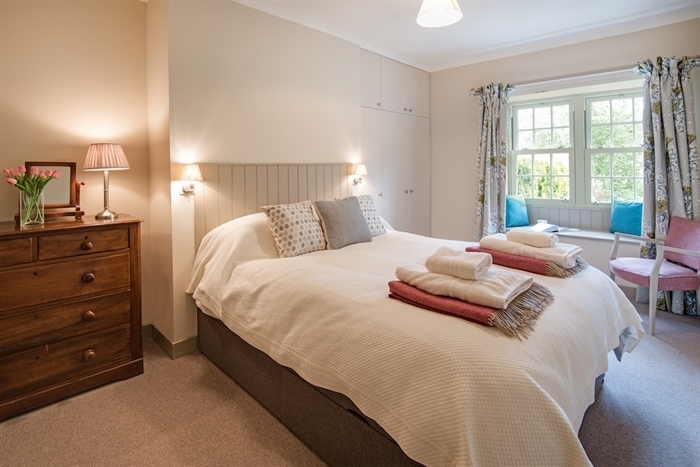 Bedroom one with king size bed, chest of drawers, built-in wardrobe and storage, and a charming window seat overlooking the garden. 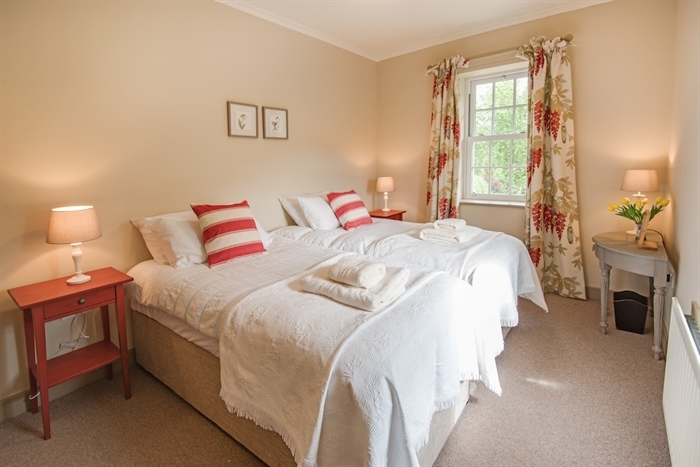 Bedroom two with zip and link beds which can be configured as a super king double or twin beds as required. 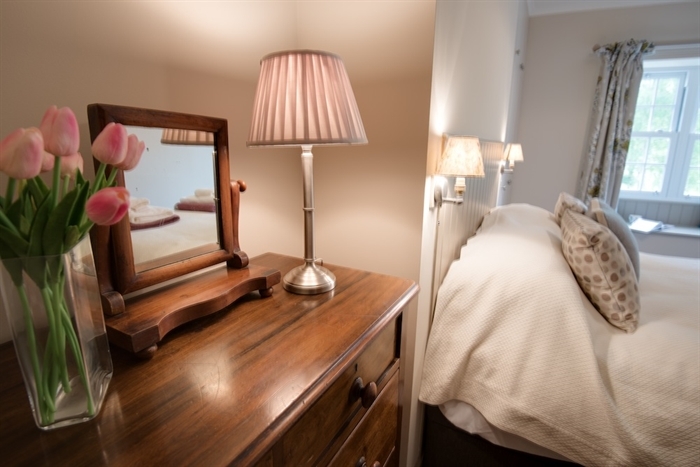 Two bedside tables, small dressing table and large built-in wardrobe. 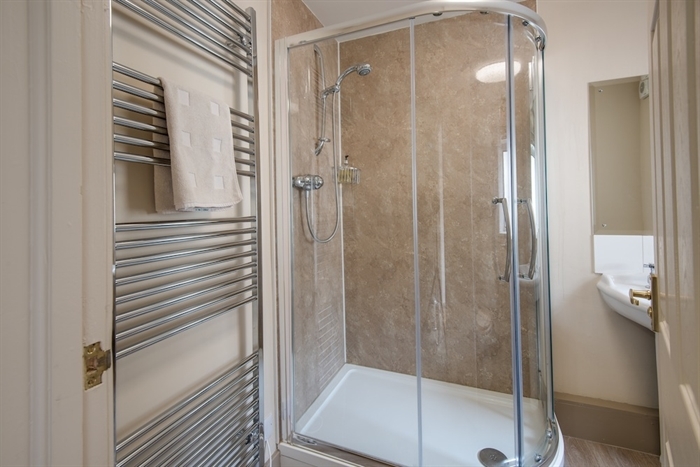 Bathroom with large shower only, basin, WC and heated towel rail. There is a private lawned garden to the front of the property which is enclosed for the safety of children and dogs. Garden furniture is provided. This is accessed via a gravel path running down the side of the cottage and through a side gate. There is a right of access to the cottage next door from the garden, however this is very rarely used and should not impact on guest privacy. Please note that a working farm sits nearby and this access road is in use by farm vehicles. Children and dogs should be supervised in this area. The rear of the property looks onto a log store and outbuildings which can be used for the storage of bikes and outdoor kit. A tumble dryer and freezer are provided in the outbuilding. 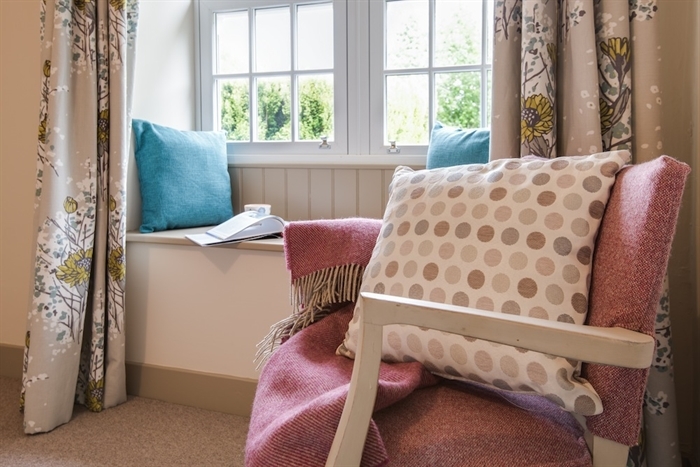 The cottage sits at the end of a row of cottages but is not overlooked. 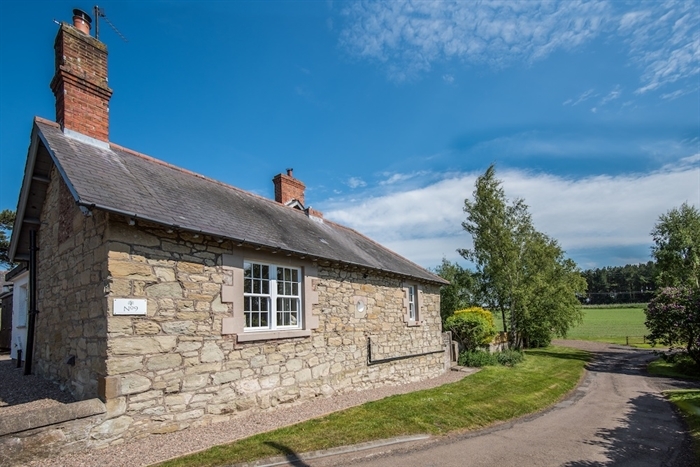 The property has two designated parking areas - one to the rear of the property and one designated space which sits directly opposite the front garden on the left side of the access road to the cottage. A travel cot and highchair are available on request. Please note that a working farm sits nearby and the road running to the side of the cottage is regularly used by farm traffic. Small children and dogs should be supervised in this area. Two well-behaved dogs are welcome but must be kept to the uncarpeted areas of the property and are not permitted on the soft furnishings. Bed linen and towels are included. Hairdryers are provided in both bedrooms. Hand washes and soaps are provided. Wi-Fi is available. The mobile signal can be occasionally intermittent but is generally good. Gas central heating throughout. 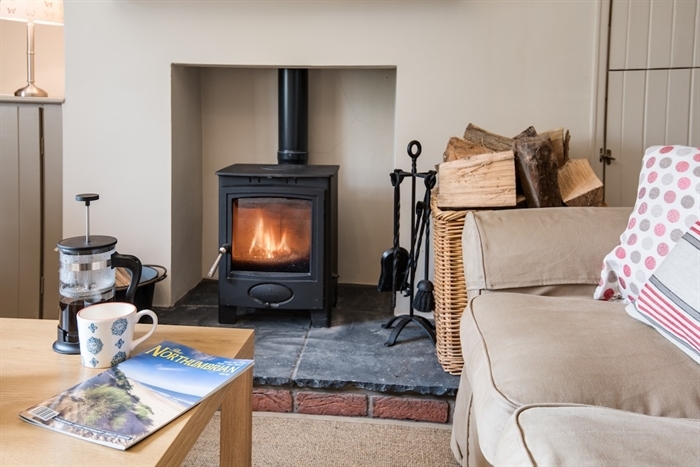 Wood burner in the sitting room with unlimited supply of logs provided. 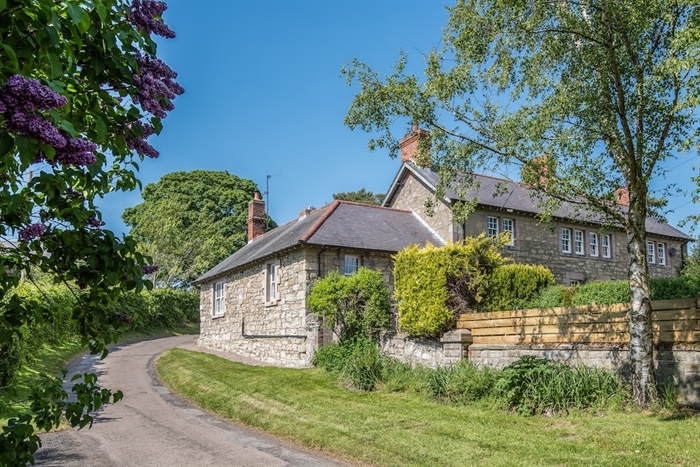 If you are looking for a property in a similar style, The Smithy, Crookham sleeping 2, The Bothy at Reedsford sleeping 4+2, The Byre at Reedsford sleeping 4, The Barn at Reedsford sleeping 2 and Barley Hill Cottage sleeping 4 share the same owner.